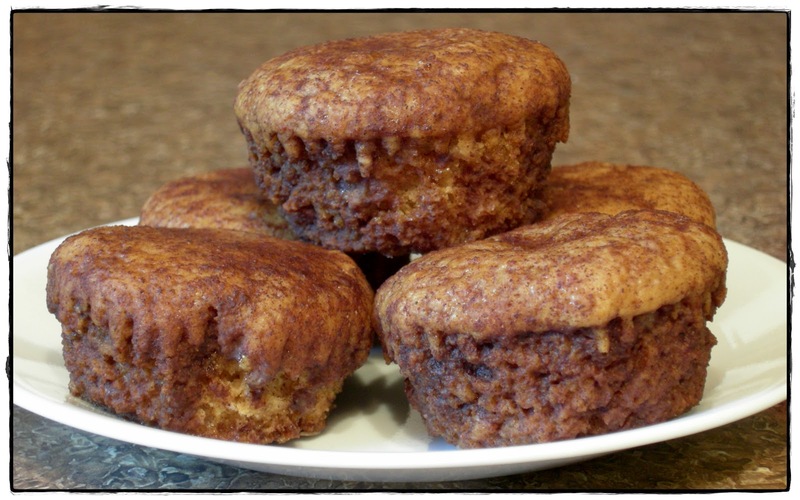 Warning: If you like cinnamon coffee cake, this recipe might get you into the Guinness Book of World Records for the most muffins eaten in one sitting! I'm pretty sure I currently hold the title, but I won't reveal the number. For embarrassment's sake, some things are best left unsaid. ;-) (Of course I'm exaggerating, if only slightly (ha! ), this is a *healthier* eating blog after all!) But you will want more than one! This recipe is adapted from can you stay for dinner?. My version is vegan and refined sugar free. Preheat oven to 350. Grease a muffin tin and set it aside. Prepare "flax egg" by whisking flaxseed with water. Set it aside to let it thicken. In a small bowl stir together flour, baking powder, salt, nutmeg & cinnamon. In a separate, large bowl, combine maple syrup, milk and "flax egg" mixture. Divide batter evenly among muffin tin cups. Bake at 350 for 15-20 minutes, or until a toothpick comes out clean when inserted into the center of one of the muffins. While muffins are baking, prepare the cinnamon topping by melting the coconut oil, allowing it to come back to room temperature, then combining it in a bowl with the maple syrup and cinnamon. *If you don't allow the coconut oil to come back to room temperature before adding it to the maple syrup, it might harden and you want it to remain a liquid. When muffins are done, slide knife around the sides of the muffins and shake them out of the pan while still hot. 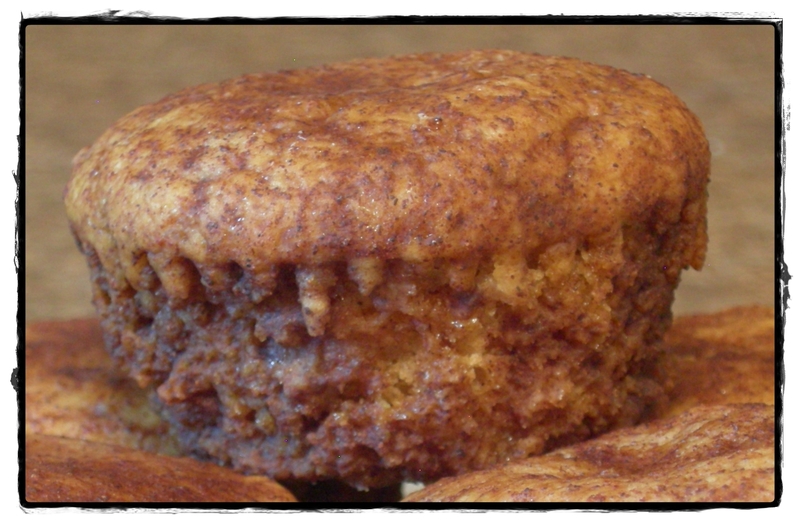 Dip each muffin into the cinnamon topping mixture coating all sides. Allow the excess to drip off, and place on a cooling rack. (You will want something underneath the cooling rack to catch any drippings). Line a baking sheet with parchment paper. Gently transfer each muffin from the cooling rack to the baking sheet. Refrigerate up to one hour for the topping to set. You can reheat before eating, or eat them cold. Either way, they are delicious! Wow! These sound and look absolutely amazing! I will definitely be trying these!